It's finally here! Wahoo! 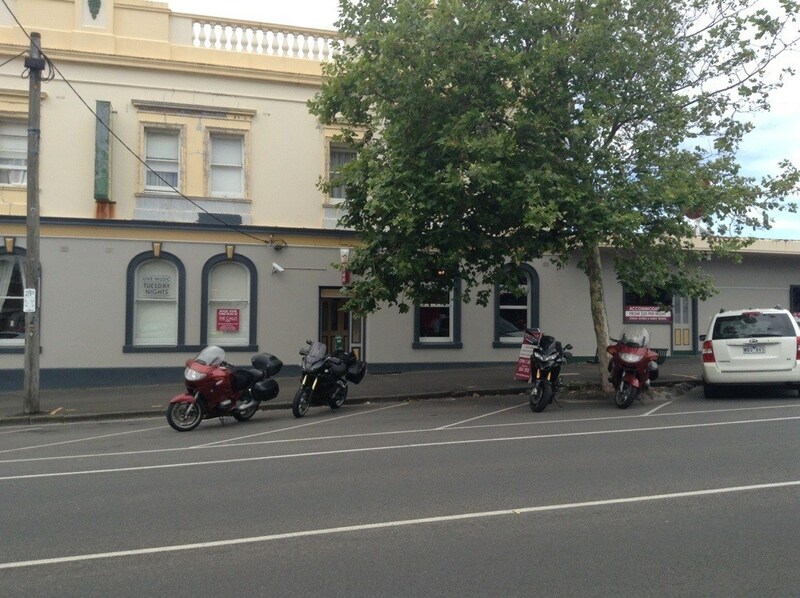 The 8th annual Australia Day Ride. This year we started off with a pack of 13 riders and kicked off early from Melbourne with the final night destination being Port McDonnell on the coast of SA. It's a 560km, 7:30 hr ride by Google Maps, pretty much directly along the Great Ocean Road following the coast all the way through. 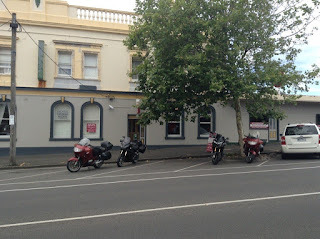 The day really started at Geelong picking up the last two entrants - it was pretty cold and a bit drizzly, but we curved our way around the back of Colac and through The Otways which is just spectacular riding and scenery. If you've ever ridden The Spurs in Victoria before it's a bit like that only when you finish you pop up out on top of the coastline at Apollo Bay, the views made all the cold bits worth it. We stopped in at Portland for a traditional Parma lunch which hit the spot before heading off to our first nights destination, Port McDonnell. 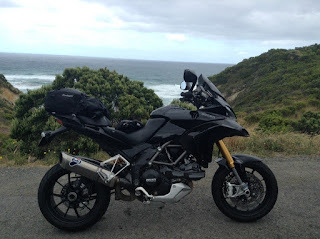 Not a lot to say about the days ride other than man the Multistrada was made for this schizzle. It pulls like a freight train! There were a couple of naughty bits where I held it WOT, and man the thing hooks in a straight line, let's just say that top speeds exceed numbers easily that start with a 2. It's a bloody amazing bike. 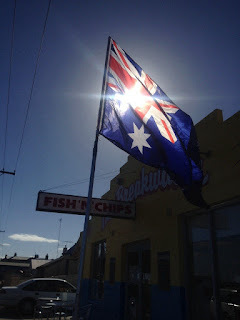 Bit of a walk along the beach to stretch the legs and I saw this flap catching the sunlight and thought it was appropriate given note to end on, hey it is Australia Day tomorrow after all. 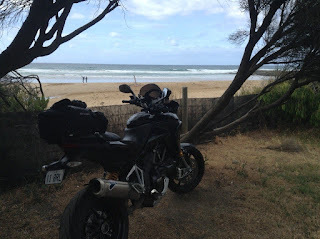 Signing out from the road until tomorrow night people, stay upright.